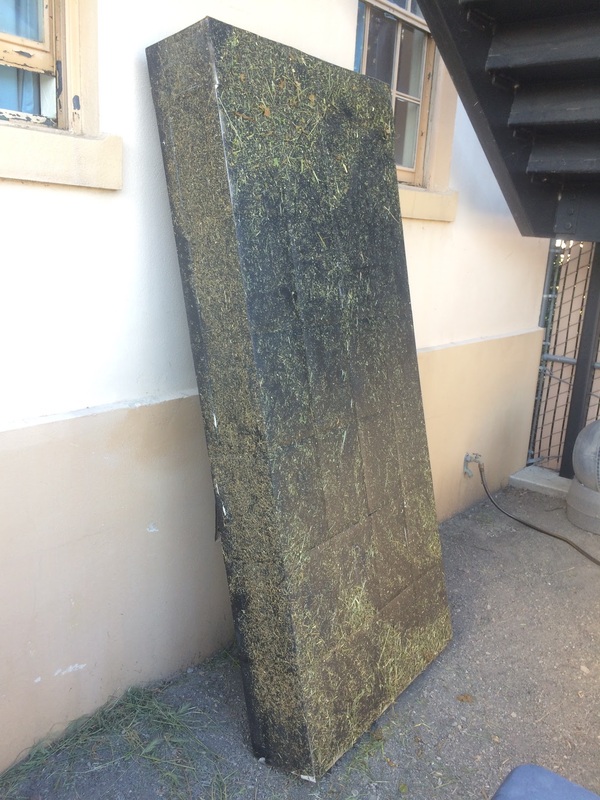 I've constructed a couple monoliths. 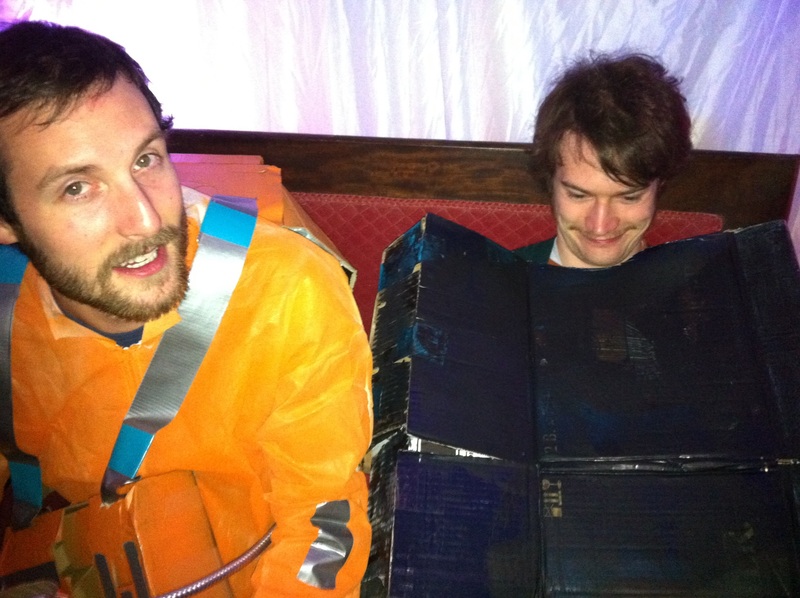 In 2011 my friends Dave, Ben and I did a group 2001: A Space Odyssey halloween costume. Ben went as Hal (Ben if you're reading this, I could use a good photo of your costume if you've got it), I went as the monolith and Dave went as Dave. We won an Adult Swim Halloween costume contest at Higher Ground. 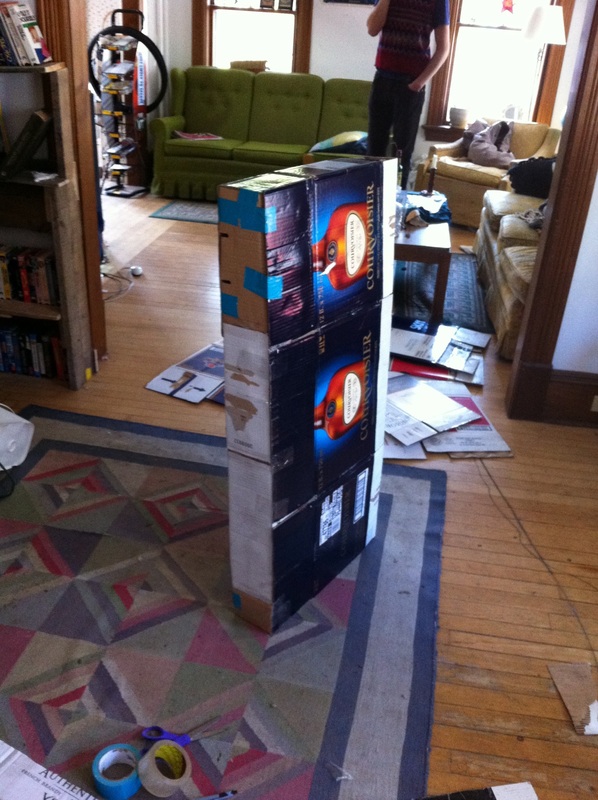 I constructed my monolith costume out of cardboard boxes. It was a little small for me but I believe I got the proportions (precise ratio of 1 : 4 : 9) right. 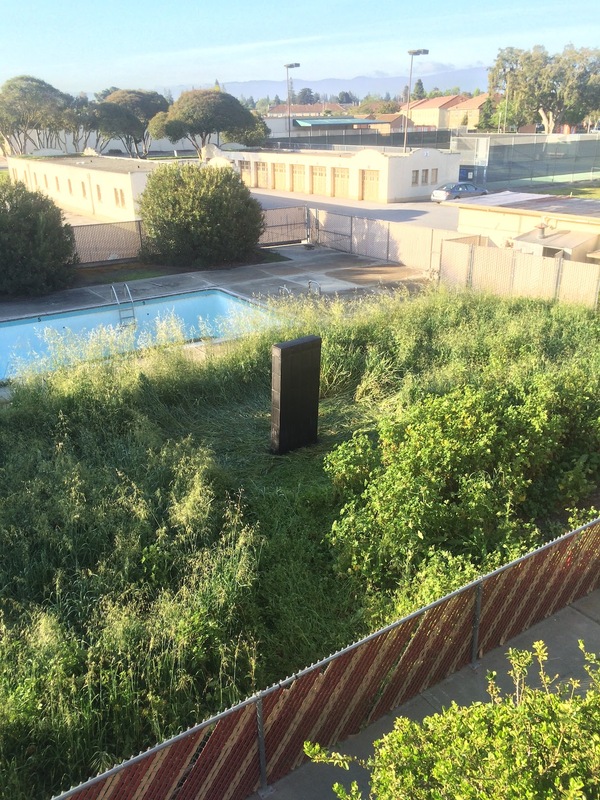 In 2016 a monolith landed in a crop circle at the NASA Ames Research Center. 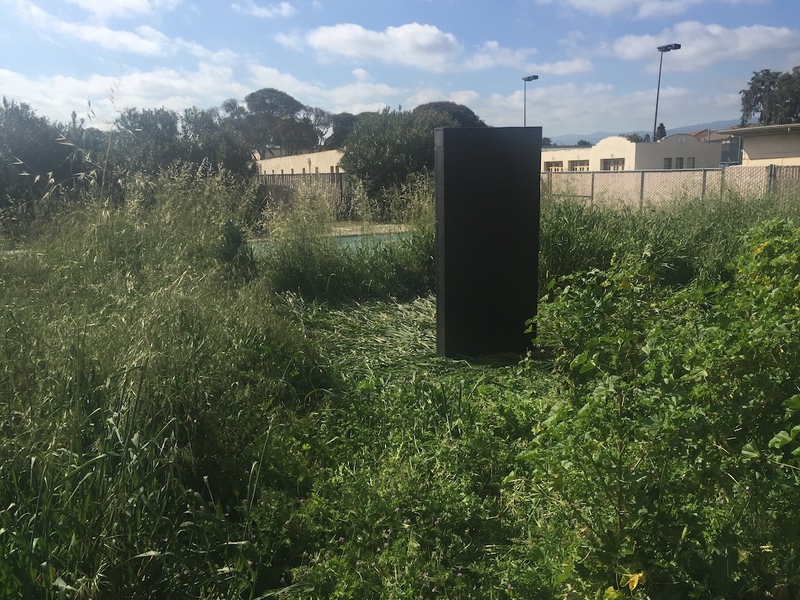 With an ample supply of MacBook boxes from our IT work at Singularity University, Dave and I decided to construct a massive, correctly proportioned, monolith for April Fools Day. 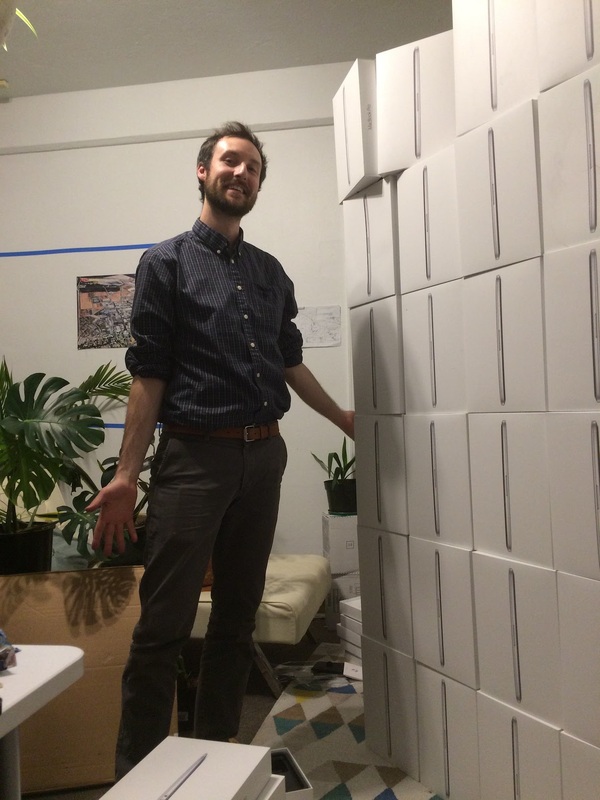 Over several late nights at work, we obsessed over how to get the MacBook boxes to meet the correct proportions. The next morning I came in extra early to make sure it still stood. It did! We didn't tell anyone it was us. 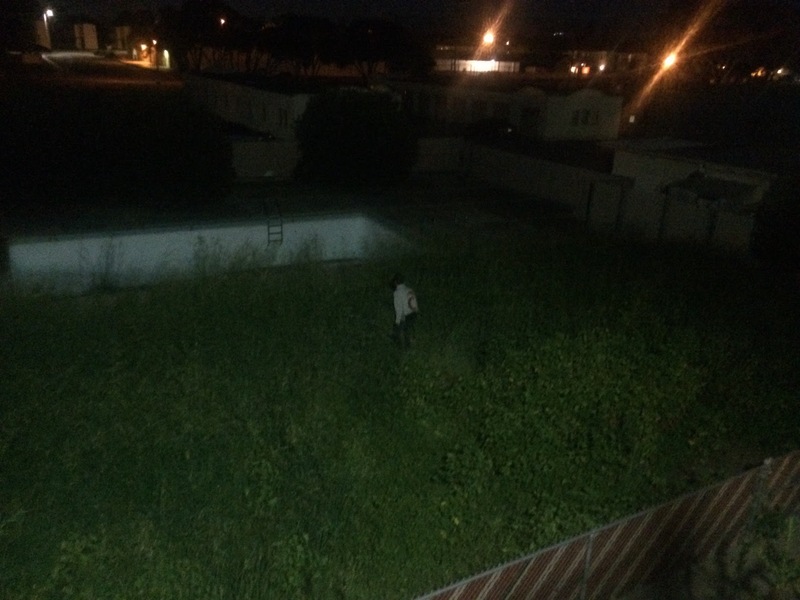 The head of HR posted to the company Slack the image below with the caption, "Something strange is afoot in the back yard!" We got some likes on instagram posts from Roy and the official Singularity University account.